No Upfront Costs – No Fee Unless You Win! We take care of our customers applying for Social Security Disability in all 50 states. We can help at every stage, whether you are applying now for the first time, have been denied, or going to a hearing. Read what our past clients have to say. We help our customers WIN – ongoing monthly payments – paid directly to them. We have assisted thousands of claimants in all 50 U.S. States & Territories, proving we get results! 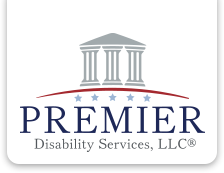 At Premier Disability Services, LLC®, we always put people before profit – That’s our mission. We never charge anything upfront. We never charge at all unless you win benefits. That’s the kind of service you deserve. With over 30 years of experience and thousands of claims successfully closed for our clients, Premier Disability Services, LLC® is a name you can trust to help you get the Social Security Disability Benefits you deserve. When you partner with us, we’ll communicate with the Social Security Administration on your behalf, and work through your claim from start to finish. From the initial application through hearing, denials, and appeals, we’ll be on your side every step of the way. And no matter where you live in the United States, our team of Professionals will handle your case without having to leave your home. We only collect a fee if you win benefits. Our fees are regulated and paid out by the government from your back-pay benefits, so there are no upfront costs to you. Click on your state to find out more!